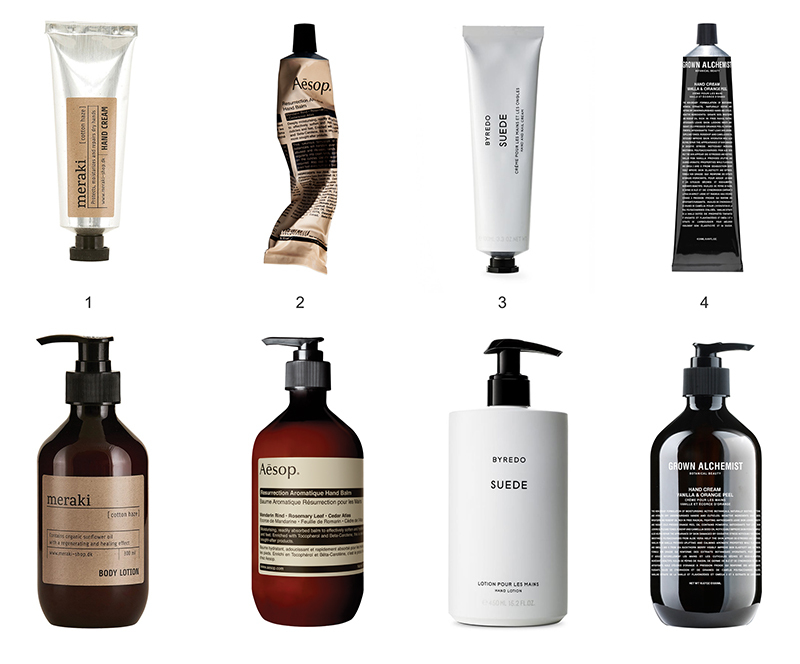 When it comes to hand creams, there are few that deliver not only in quality, but also in style. It is no wonder that while in the past, hand creams were a staple in our bags, now they are also a favorite display in photos. What is even more fascinating is that they have also managed to tickle into interior lifestyle as well. From casually being displayed in the bathroom, to more often than not seen beside a MacBook and a coffee cup, laying inconspicuously on the latest Kinfolk magazine on a marble coffee table, or strategically placed in a top down mood board featuring all sort of must have props for the interior conscious. It is no mystery how these products ended up being featured so often in photos, they are very photogenic, while they look great in compositions as much as in the bathroom as outside of it.More importantly they give a much wanted glimpse in our real lives all the while being relatable and easy to shop for. Personally I like changing every few months to a different brand, and I always prefer having a full set of soap and hand cream for the bathroom but also a smaller sized tube for my bag or the coffee table. As ironic as it sounds, I do use hand creams a lot so it is no wonder they are so often featured in my own photos, I really do move them around wherever I go. Above you can find 4 of my favorites, I recommend any of them wholeheartedly.